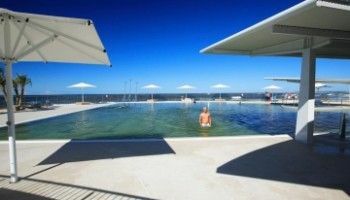 These Caloundra resorts Kings Beach are the perfect holiday accommodation option. 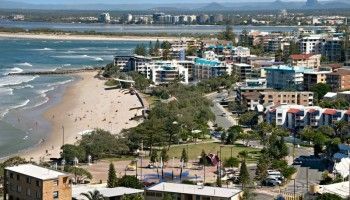 Central to the Caloundra Heads, Burgess@Kings Beach apartment resort has views overlooking Kings and Shelly Beach. These apartments offer space and style at an affordable price with great resort facilities which include an outdoor pool and adjacent bbq area, tennis court, spa and sauna. You’ll love Caloundra too. It’s one of the more relaxing parts of the Sunshine Coast. 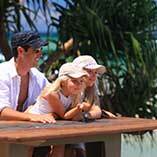 Our Caloundra holiday apartments provide a wide open feeling both inside and out. If you’re a large family or group planning to tour the Sunshine Coast then our fully self contained two & three bedroom apartments make perfect sense for you. With a huge living area, you’ll have plenty of room to spread out on the comfortable designer furniture. The kitchens are delightfully designed and practical. Bathrooms as well have been finished to a high level. In many cases the apartments have been newly renovated. 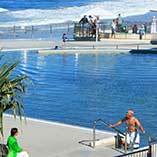 Just a block away are the salt water pools which makes an ideal escape when the crowds have taken over the beach. It’s a 25m wave-free alternate to the beach, and they have a lifeguard on duty. The rock pools beside the pool are great for kids to explore and the sea lanes that cross the horizon of the beach offer some great commercial ship spotting fun. The Kings Beach Tavern is nearby with its new Road House Grill bistro. It’s a great place to have a cool drink and relaxed meal after a day in the sun. Right next door to the Kings Beach Tavern is the amphitheatre. If you get your timing right, you can enjoy the foreshore activities and live music. Australia Day is a big celebration there, and the Caloundra Music Festival happens in September every year. They are always events that provide you with an easy excuse to come to Caloundra. 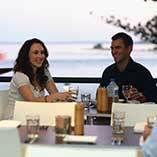 These Caloundra resorts Kings Beach are the perfect holiday destination. The whole of the Sunshine Coast is at your doorstep from here. 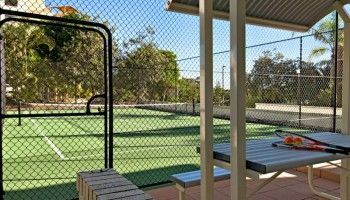 For Caloundra accommodation Kings Beach that provides you with an excellent position to launch your Sunshine Coast holiday, then book your resort accommodation at Burgess@Kings Beach now.